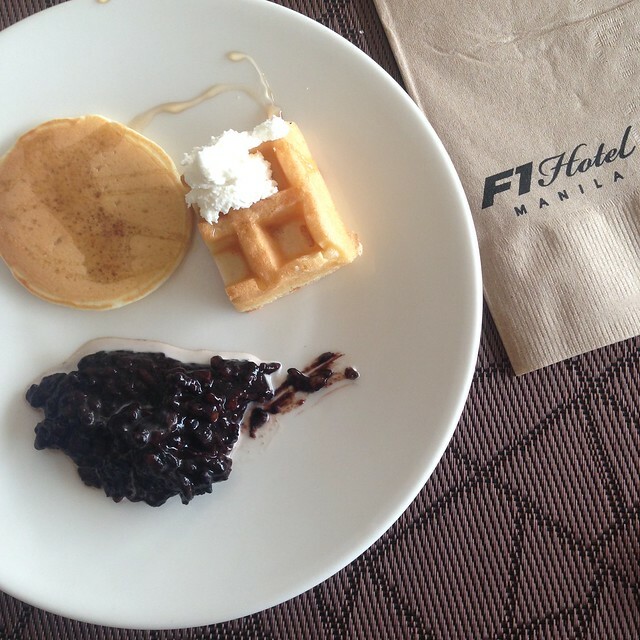 Our Fun-Filled and Relaxing Staycation at F1 Hotel Manila + Win An Overnight Stay! Last year when I found out about the long weekend during the Papal Visit, I knew I wanted a staycation but I couldn't decide where until it was two weeks away and we still didn't have a hotel to stay at. 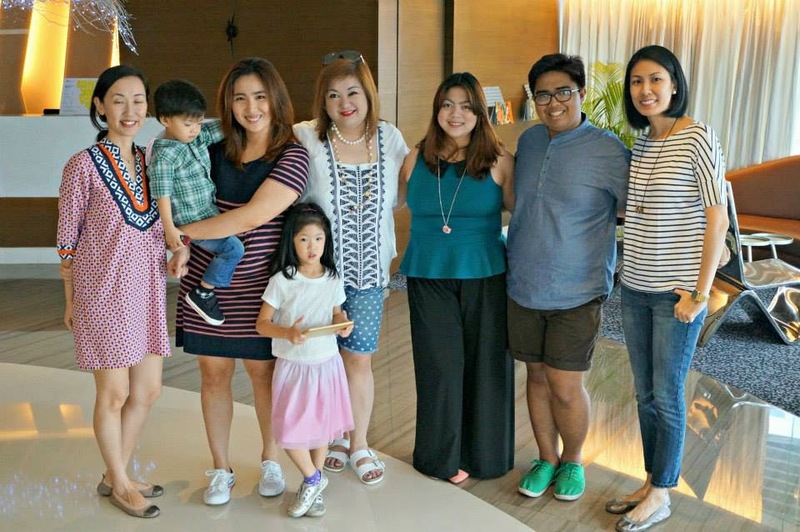 Then like fairy godmothers, Jane of Sugar & Spice and Everything Nice and Twinkle Lacsamana, Marketing Manager of F1 Hotel Manila invited our family for a staycation! It was the day of Pope Francis's arrival to Manila so we left our house early because I was scared to be stuck in traffic but the roads were clear, no traffic and we got there first! Kami na ang hindi excited hihihi! Because we were the first ones there, we got to check in na din and settled in our suite before everybody arrived and met for lunch at F All Day Dining Restaurant. 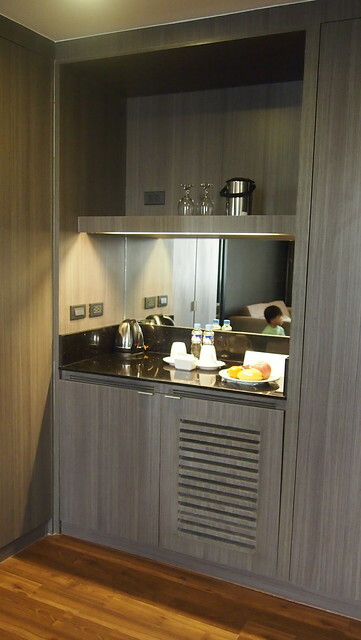 We stayed in a Fort Suite which is a one-bedroom suite that has a spacious living room and one bathroom complete with a bar area, mini fridge, a desk, two flatscreen TVs (one in the living room and one in the room) and two cabinets for your clothes and belongings. Living room was big. That sofa was turn into yaya and R's bed that night. The bar area complete with electric kettle, coffee, tea, a welcome fruit plate and more. 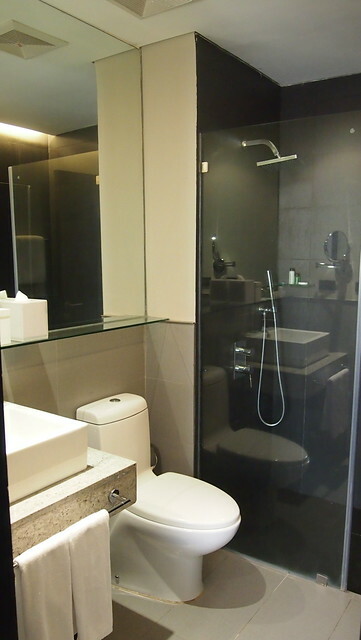 Clean bathroom also complete with toiletries. My kids and I wish there was a bath tub though hihi! After settling down, R making a mess of our room and watching a little of TV, it was time for lunch at F All Day Dining Restaurant and meet the other mommas who were also invited by Jane. 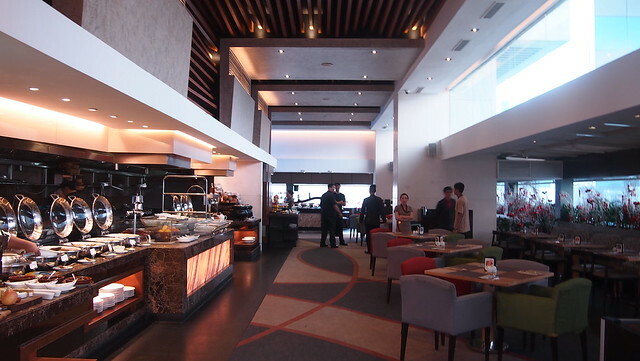 F All Day Dining Restaurant is located on the 3rd floor and serves all-day breakfast, lunch and dinner buffet but you can also order ala carte. 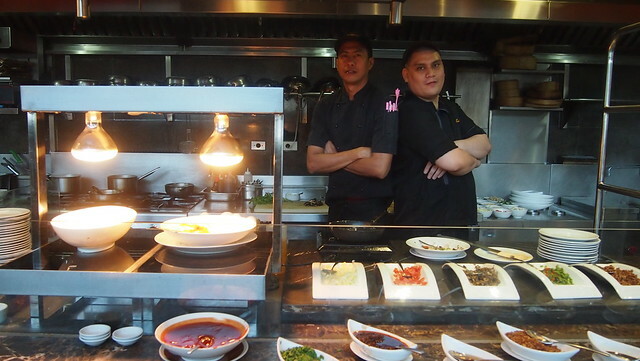 The great chefs of F All Day Dining Restaurant. I love that they're game and would gladly pose whenever they see me taking pictures hehe! 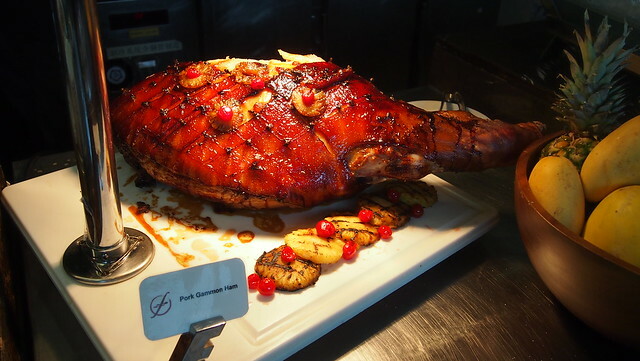 Glazed Ham and Grilled Pineapples. Feels like Christmas! Heehee! 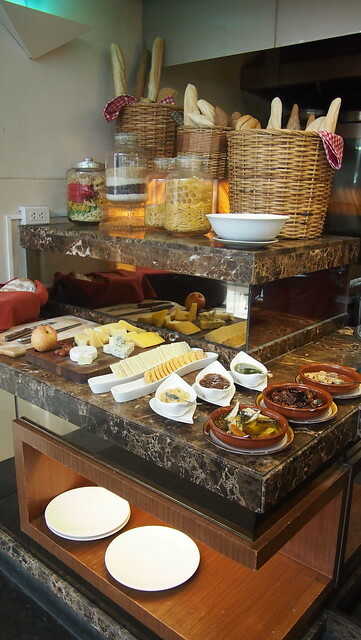 Cheese, crackers and tapas station. 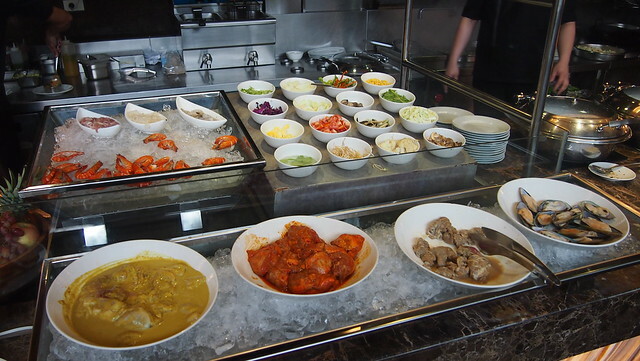 Grill and Mongolian Station. I wasn't able to try the Mongolian but I heard it was good. 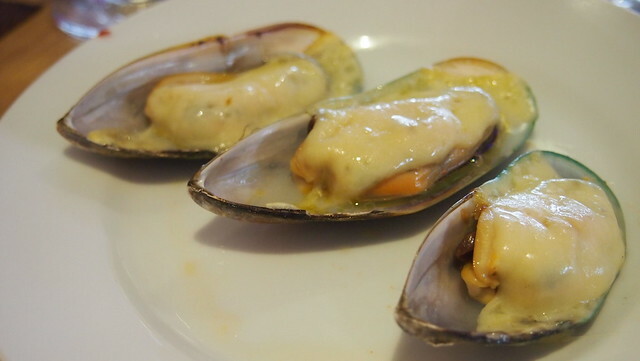 We had tahong (mussels) baked and it was good! 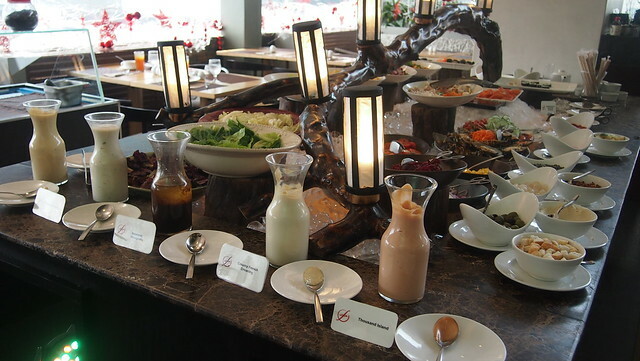 Salad Station for the health conscious, you get to pick from 5 kinds of salad dressing. 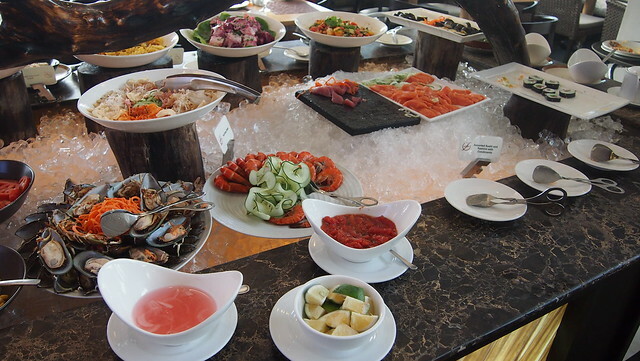 A buffet is not complete with sashimi and sushi! 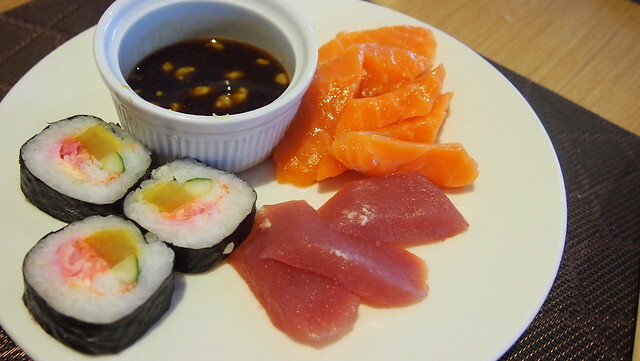 My sushi plate. I went back twice for this! 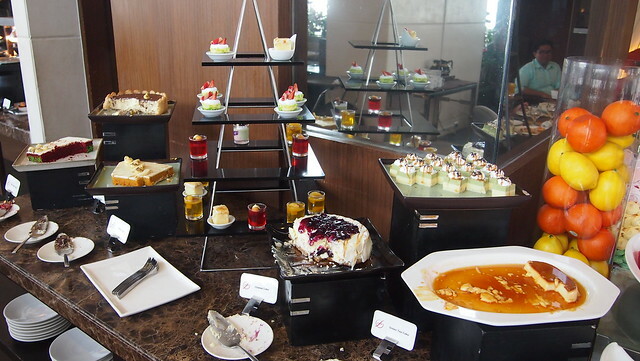 A sweet ending to your lunch: dessert! 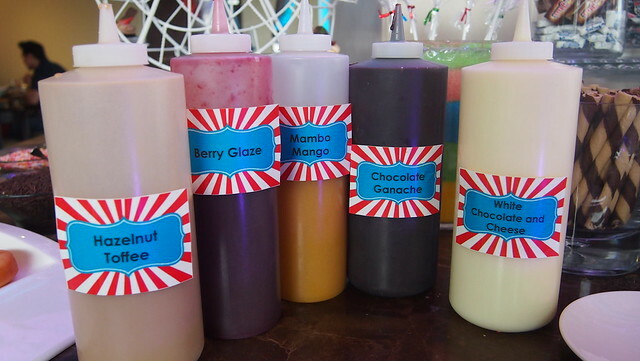 They have a halo-halo station, cakes, and a candy buffet which was a super hit with the kids and kids at heart! Hehe! 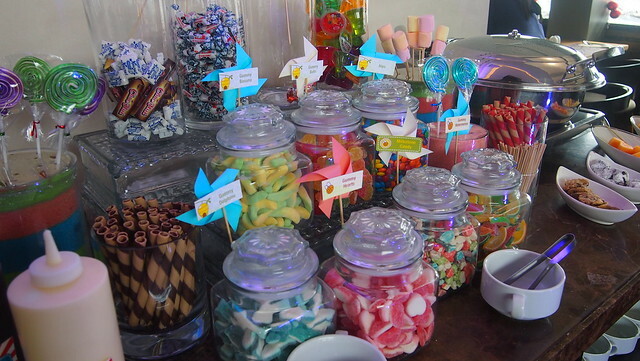 Kids went ballistic over the candies and they got to take some up to our room (spell sugar rush!). 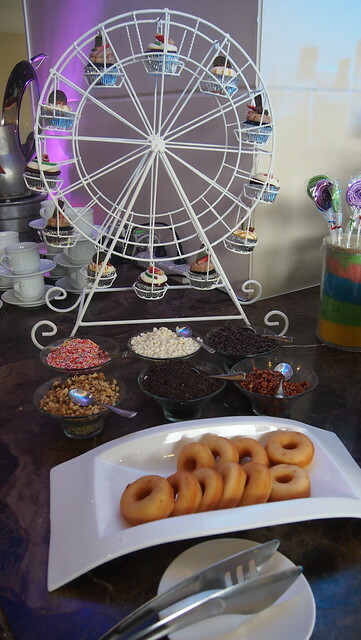 Cupcake carousel and a make-you-own doughnut station, what a brilliant idea! 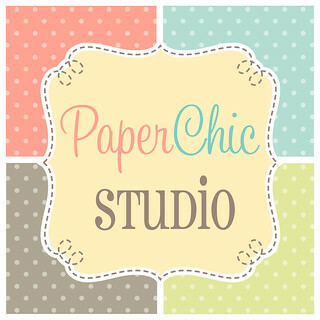 This is us after lunch and making chika over coffee! Glad to be in company with these lovely ladies! Thank you so much again Jane for inviting us and our families! 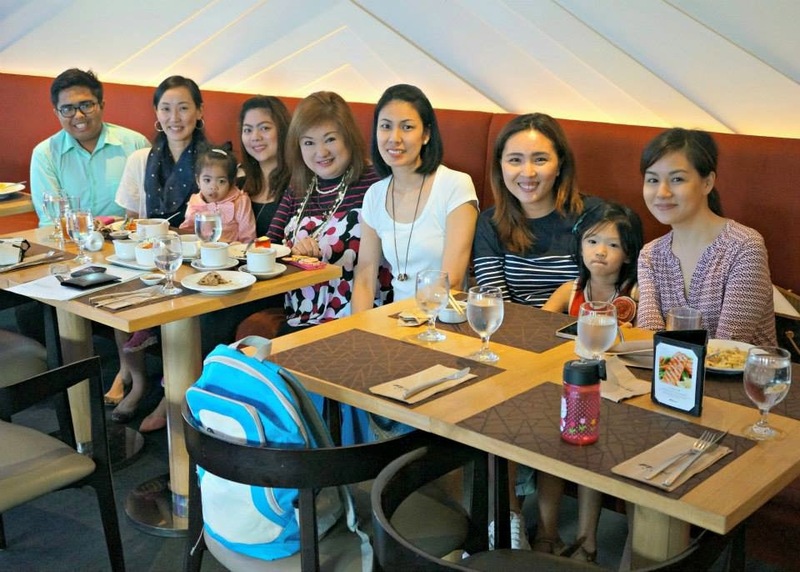 From Left to Right: Pau & Twinkle of F1 Hotel, Jane of Sugar and Spice, Tina of The Phenomenal Mama, Michelle of My Mom Friday, Me, and Pam of Run Around Girl, now Green Lunch Diaries. After our chikahan portion, we all went up to our respective rooms to rest. R had his afternoon nap while Y kept bugging me she wanted to swim already. It was a bit chilly but the little girl was very makulit, told her to wait for the sun to came out before going down but Mr. Sun never showed hihi. We went down before 3PM because I also wanted to check out the pool area. I like the they have a separate pool for the kids. 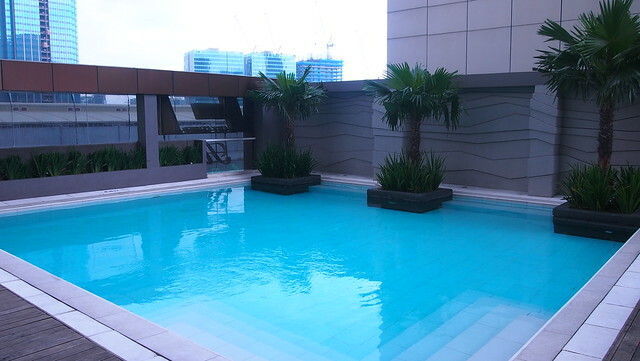 I can just watch Y swim and play while I make chika and sip coffee with Michelle and Tina! 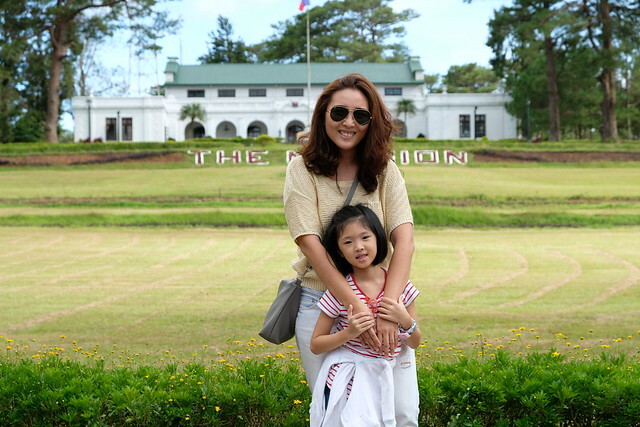 Y was happy to be with Achi M again! This is the bigger pool for bigger kids and adults. With the pool area all to ourselves, I wish I had swam that day but I can't. 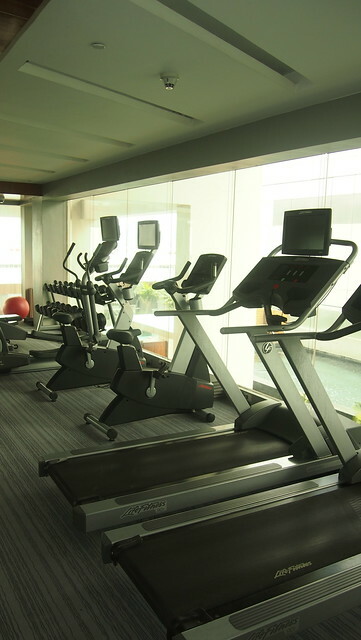 There was also a lap pool for those who wish to have a workout. F1 Hotel is the only hotel I've been to that has a lap pool! 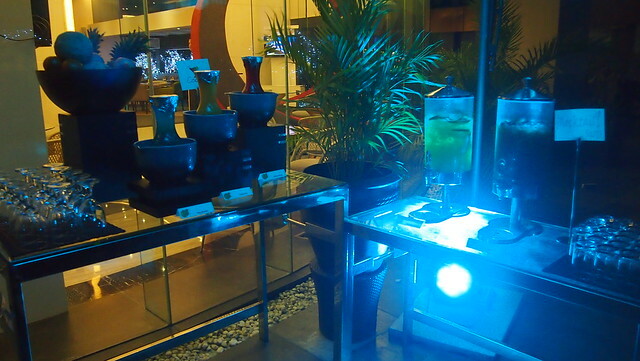 You can order refreshments from the Canary Lounge by the pool. We had coffee and Cookies Unlimited's Oatmeal Crisps that Michelle brought with her. 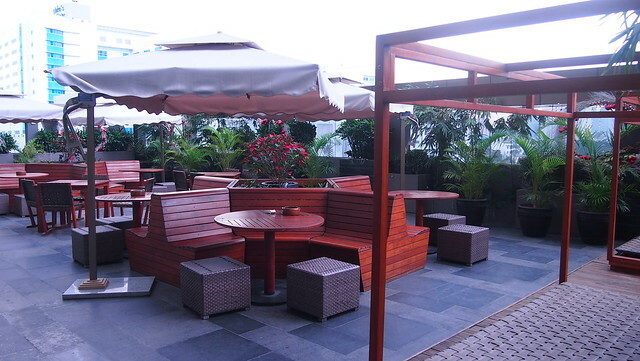 On the other side of the pool area is the lounge area where you can have your afternoon drinks (just order at the Canary Lounge), play cards or gameboards, read your book and whatnots and as for the people who are working in the BGC area, you can have your meetings here while having coffee and enjoying the fresh air! And at night, this was where we had our BBQ Party! Day beds! I think I saw a couple to had a nap here heehee! After the kids's swim, we went back to our room again just in time for Pope Francis's arrival to the Philippines. Then I gave the kids a bath, put on nice clothes and get ready for our outdoor BBQ dinner! 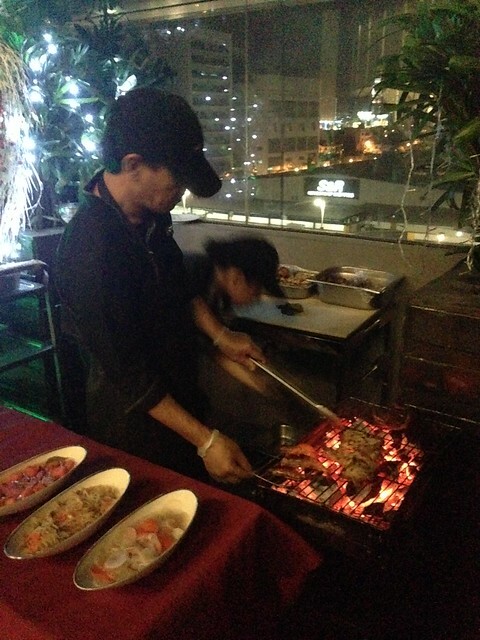 Chefs busy grilling our dinner. 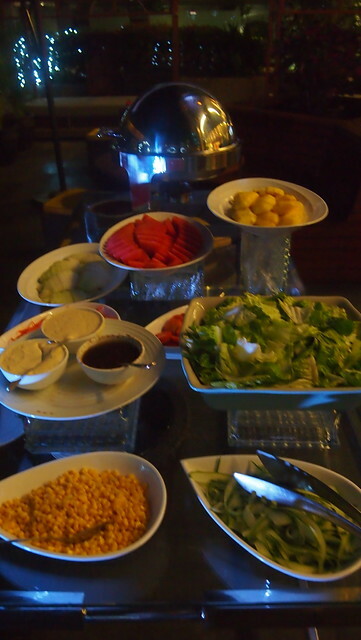 There was rice, fruits and a salad bar. 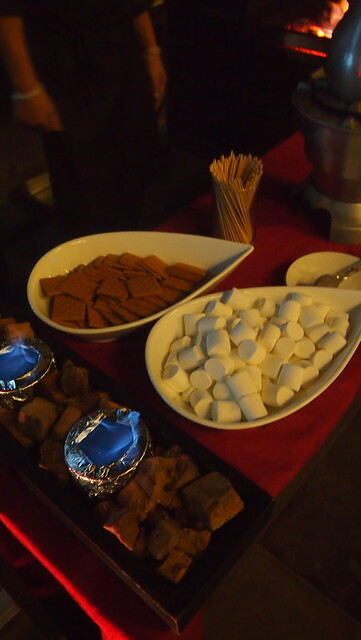 And there was a S'more Station for the kids! How awesome is that! 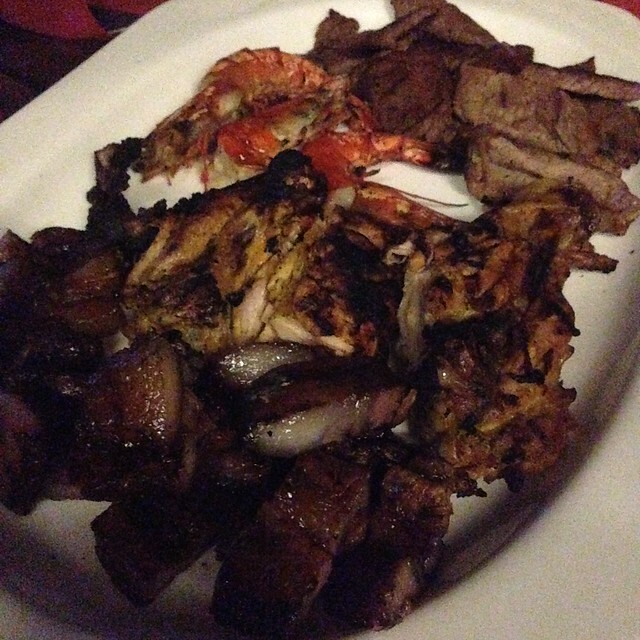 There was liempo, chicken, shrimp and pork. Yummy yummy! I had so much rice! Good news! 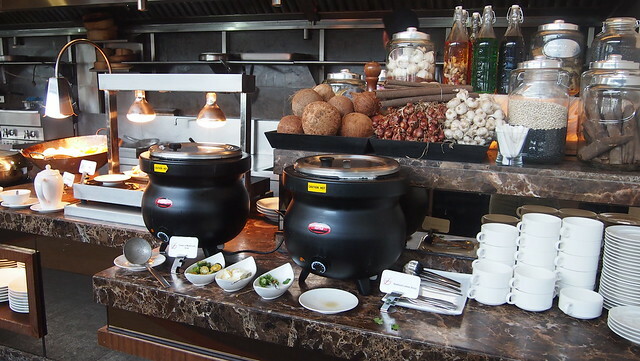 You can also enjoy this because F1 Hotel Manila has a BBQ ALL YOU CAN PROMO from March 1 to 31, 2015. Smokin’ hot & flavor-packed grilled favorites. An endless fill of marinated treats grilled to perfection. Yours for 1,399 nett/person. 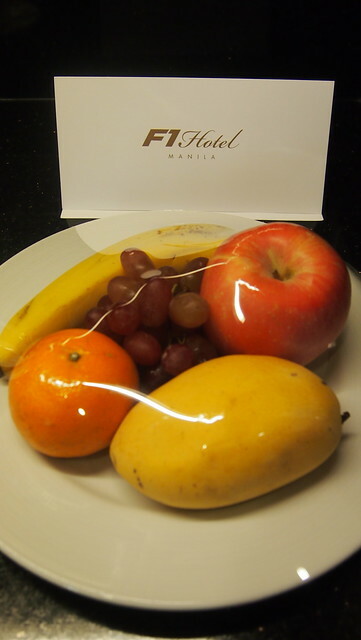 And because my kids wouldn't eat properly at the lounge, I asked if we can bring our food to our room and finish eating in our room and they brought it nga! 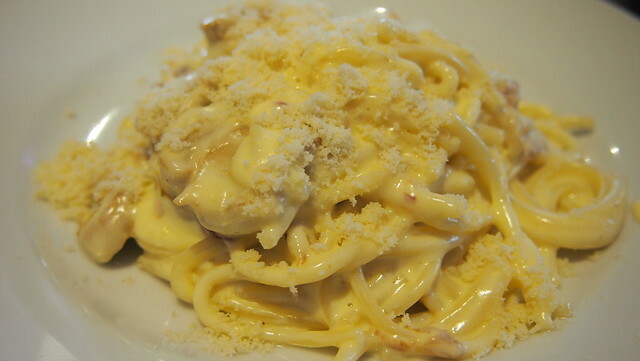 And see that pasta? I requested that again for the kids. Superb service! My night was capped off with a massage at their spa. 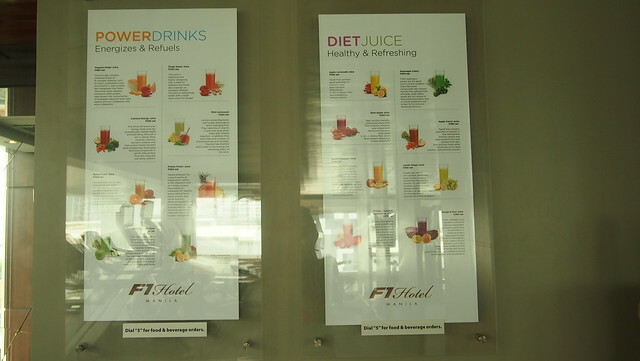 Another treat from the F1 Hotel people and I want to thank them again and again because of their hospitality. And I also want to thank yaya because she watched the kids while I had my massage at the spa. 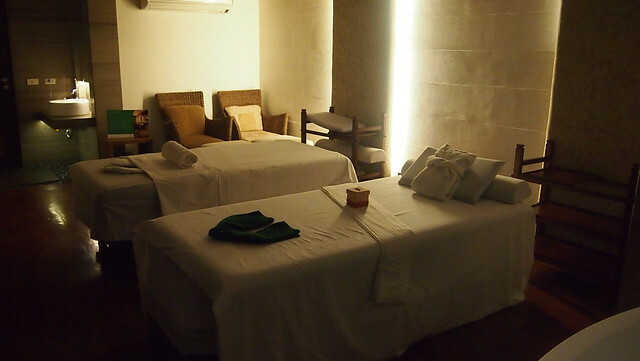 You can opt to have your massage at your room so can just doze off to lalaland after the massage! 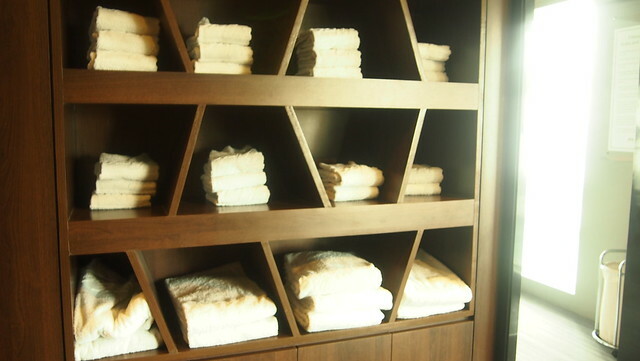 And another reason to have your massage in your room is because they only have a couples room at the spa. This is perfect though for couples! 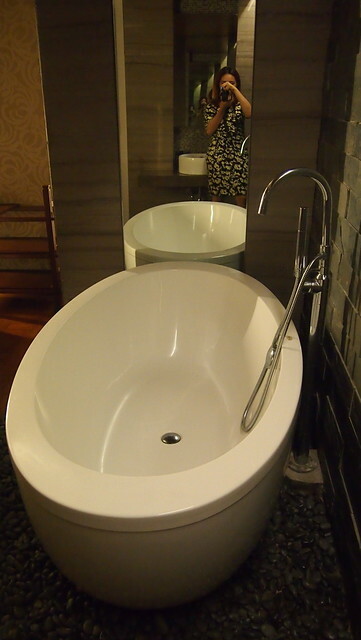 There's also a tub in case you want to have a bubble bath before your massage. Hihi! I had a very relaxing Swedish Massage. It was really a nice treat, my much deserved me-time and gave a goodnight sleep. 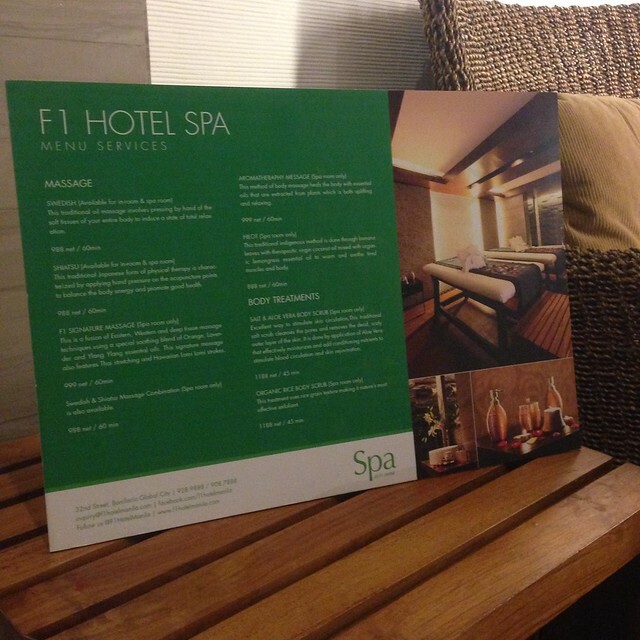 Don't forget to book a massage when you stay at F1 Hotel! 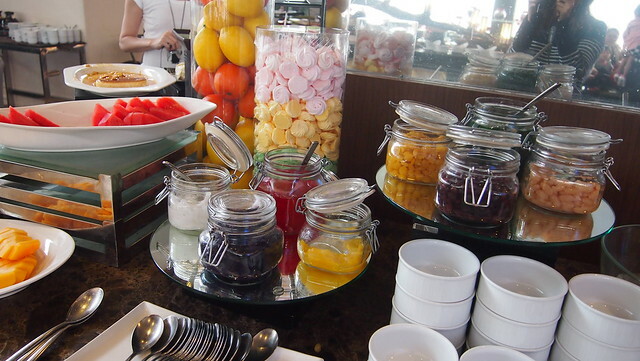 Kids woke me up early the next day but I didn't mind because I was excited for the breakfast buffet! Hehe! Hashbrowns, tomatoes, eggs and the most important of all, BACON! 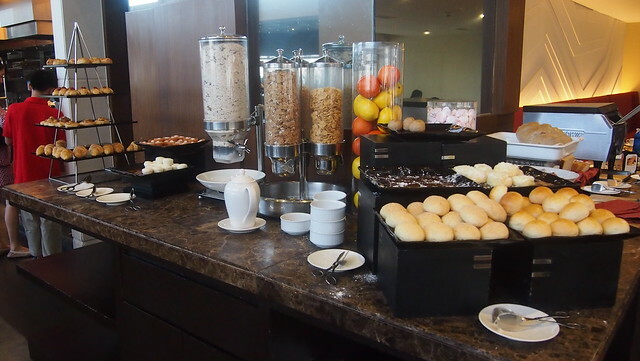 There's the cereal and bread station for those who like carbs like me! Hehehe! There's butter and different kinds of jams to go with your bread. Take your pick! 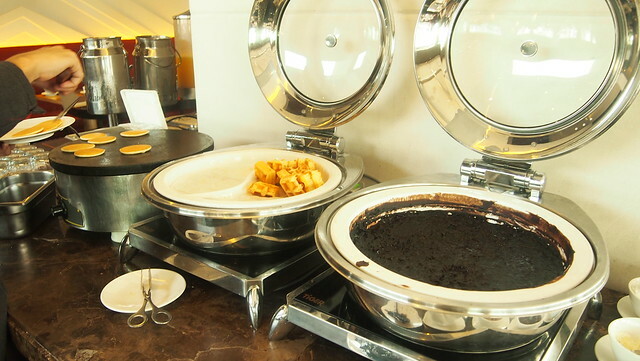 There's mini pancakes, waffles and champorado. 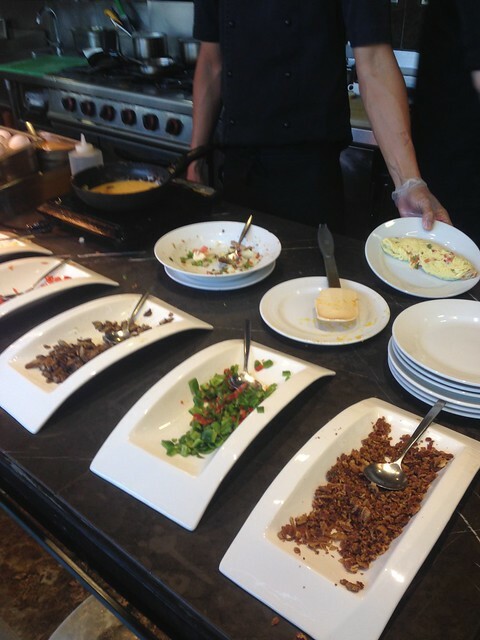 Omelet Station. What's breakfast without eggs? 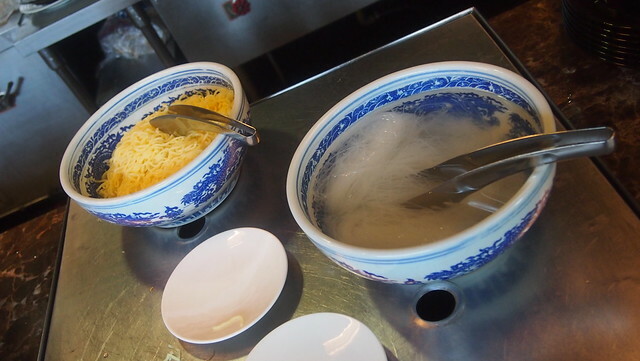 Here's Tina and her boy making their own noodles. 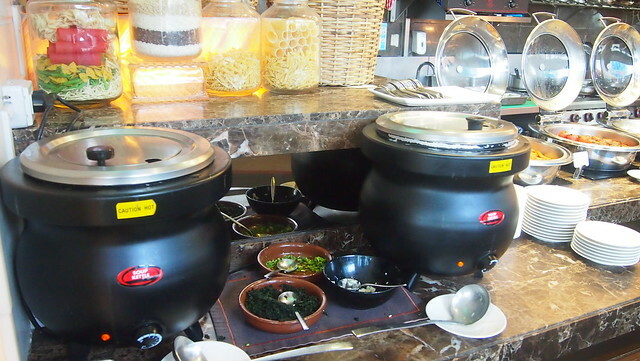 This was a first, I usually see noodles station on lunch or dinner buffets and I was happy that they have it because Y always requests for noodles. The Chefs game as ever for a photo! Hihi! 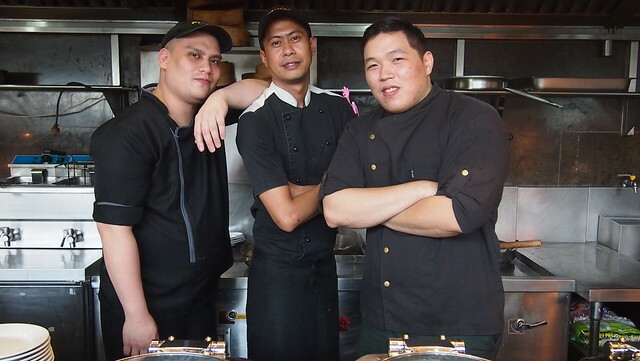 Pose muna before cooking our noodles. Hehe! 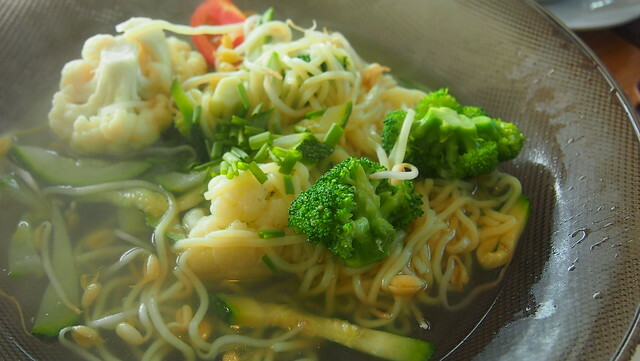 My pa-healthy Veggie Noodles. The broth is actually good. Choose your refreshments. 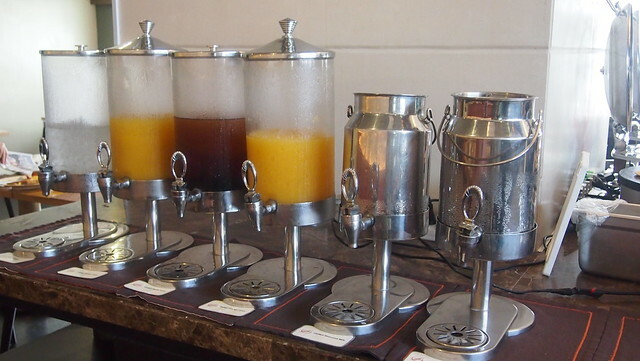 There's an assortment of juices or you can order coffee if you need a kickstarter in the morning like me! What's not on my plate was the bacon. Hehe! It was actually Y's but she didn't want to eat it... So... akin na yun! Because I felt guilty for the bacon I ate during breakfast, I made a quick trip to the gym. Can you bilibit? Even I cannot. Ahihihihi! 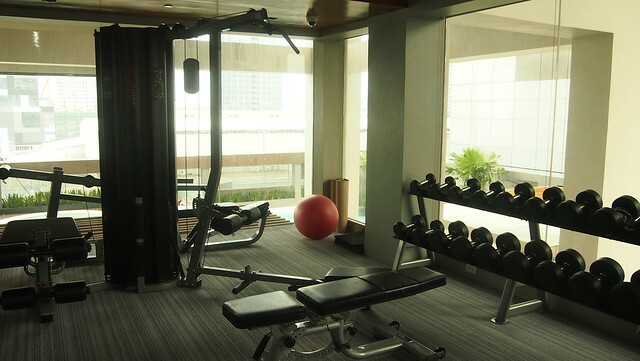 Pre-pahealthy me, gym is the last and least place I'll visit in a hotel. Well, well, well... look do we have here? Me bringing workout clothes on a staycation? Hehe! You can order your pre and post workout drinks from them. How cool is that? And no need to bring towels. Unlimited dito. Charoooot! Just get what you will use and throw it in to the hamper after using. 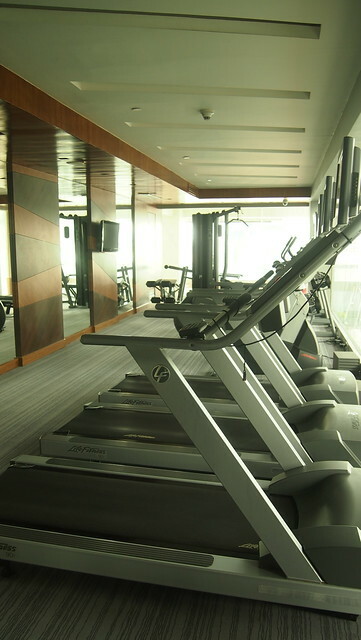 Had a quick run at the treadmill then went back to the room to take a quick shower, dressed up the kids and packed our things because it was time to go home na. Bitin! But it was super fun and my kids enjoyed our short stay. Y has been talking about F1 nonstop and that she wanted to go back! Thank you again Jane, Twinkle and Pau for having us! 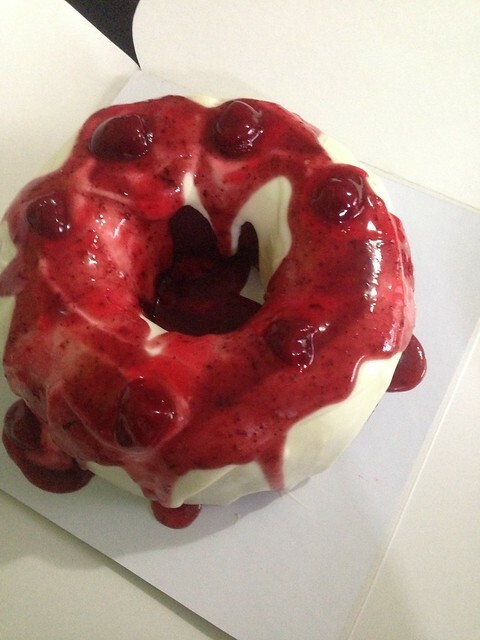 And also for the pabaon Red Velvet Cake! You must order this for your next party. Moist red velvet cake with cream cheese frosting. Yummy! 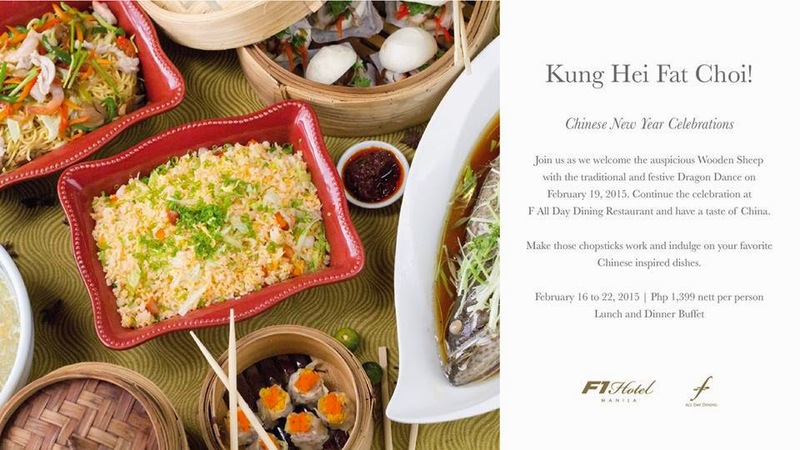 Before I launch my bonggang overnight stay giveaway, check out F1 Hotel Manila's Chinese New Year celebration happening this week. Invite luck and partake in welcoming the year of the wooden sheep with a traditional Dragon Dance on February 19, 2015. 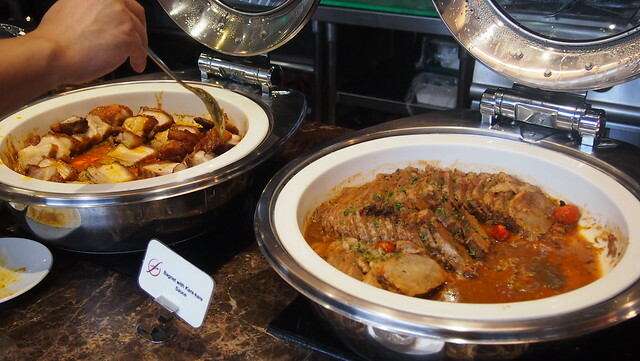 Continue the celebration at F All Day dining Restaurant and have a taste of your all-time favorite Chinese-inspired dishes masterfully crafted by F’s culinary team. 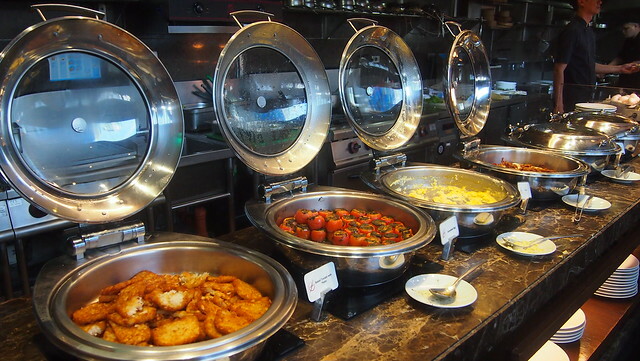 Have an auspicious lunch or dinner buffet for only Php 1,399 nett per person, available from February 16 to 22, 2015 only. Or why not stay overnight during Chinese New Year and enjoy all these perks and use the Php800 food credits on the Chinese buffet above! 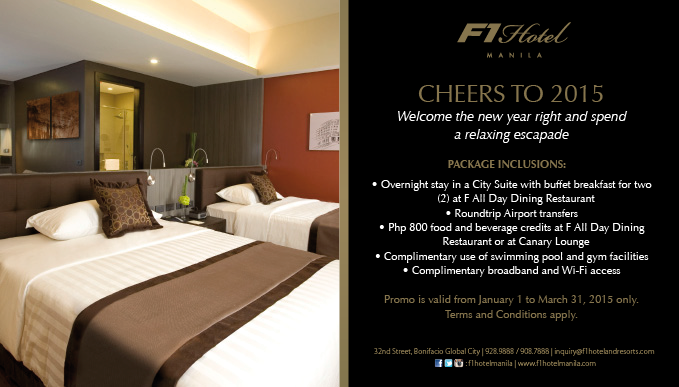 And if you won't be able to book a stay at F1 Hotel Manila this week, fret not, I'm giving away an overnight stay for 2! Aylavet! I want to join my own giveaway! Hihihi! Just go to the Rafflecopter widget below and follow the mechanics or you can go to my Facebook Page to join the giveaway. Good luck!!! Hi Anonymous! Hope you can leave your name so this can qualify as an entry :) Thank you! And good luck! 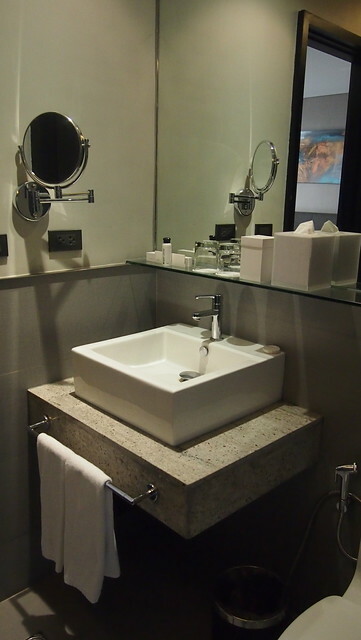 The best thing about staycations are you can relax and unwind at the same time but no need to travel far! Hoping to win! The best thing about staycations is that you get to go on a quick escape from the hustle & bustle of every day life, minus the need to travel so far (which can sometimes get stressful, especially with kids tagging along!). While reading your post, I felt all the muscle aches and the tiredness I got due to the crazy schedule we had since the 1st week of February. We had guests from Canada that we picked up from the airport (our house is 3 hours away from NAIA) and we toured them around Metro Manila everyday for the past 10 days that we end up going home around 2am and pick them up again the next day around 10am. So, honestly I am really, really tired that I feel I need a vacation to catch up some sleep and rest. 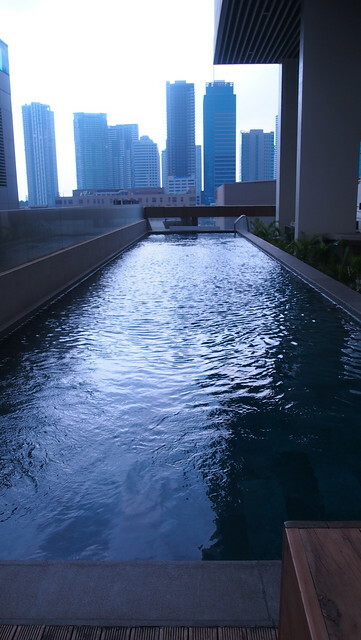 (Your pictures of the swimming pool is really inviting that if I can just go inside the computer, I would do so just to have a dip) so, this post is truly inspiring that I really look forward to have the same experience. So, going back to your question. 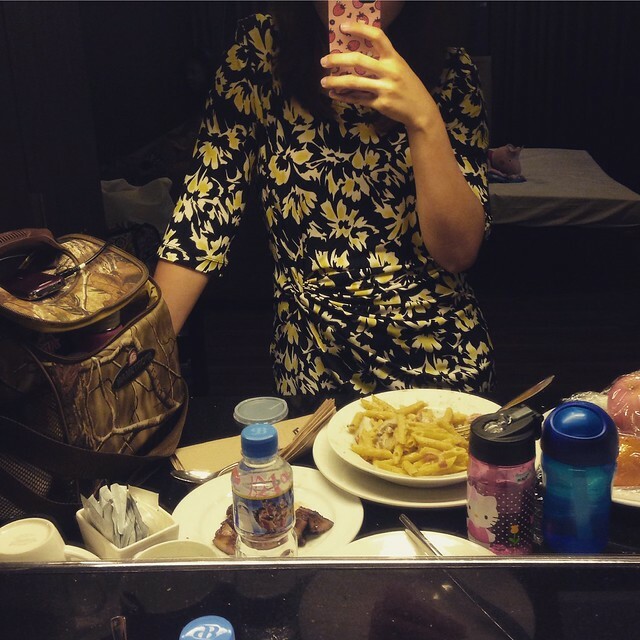 What I love about staycations is that I do not really need to be worried about the things I leave at home since if there is really something important, it is possible for me to just go home. I find a staycation like a home away from home. It is simply a better environment where I do not have to clean the house, no washing the dishes, no noisy neighborhood and it just pure bliss and luxury that it is a great reward and it is the much needed break from everything that is going on. 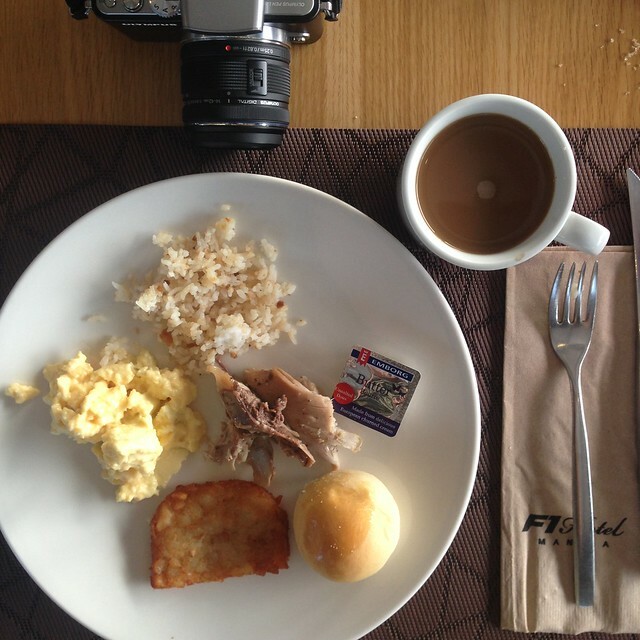 The best thing about a staycation is the novelty of a vacation minus the hassle of a long trip. The point of a staycation is to make it feel as much like a real getaway as possible, without leaving the comfort of your own home. How many of us don’t sometimes wish we could escape the hustle & day-to-day responsibilities of our normal lives for a day or two of fun and relaxation somewhere else? I’ve never won any staycations promos before. 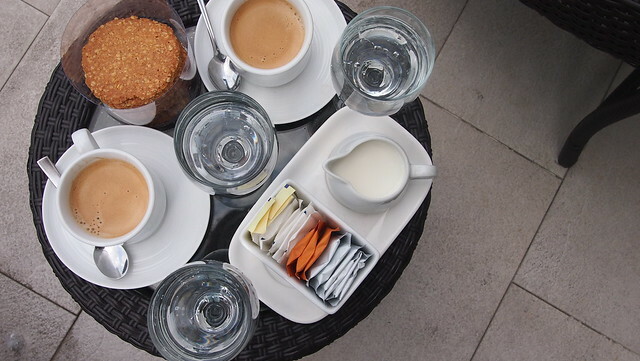 It would be a nice to get a treat on how a staycation feels like. 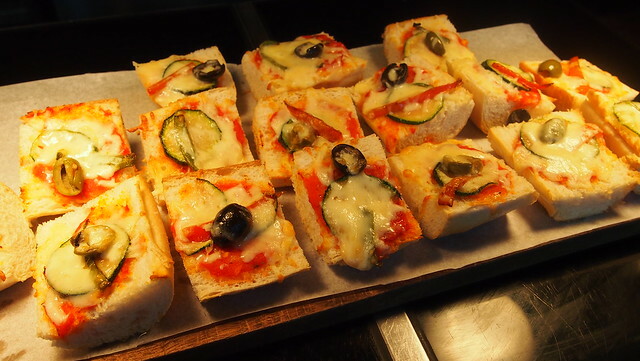 I enjoyed reading your blog and thanks for posting the pictures! The good thing about staycations is that I can get away with everyday stress and just spend the day relaxing without being outside the city. The best things about staycations is the memories that you create with your loved ones. 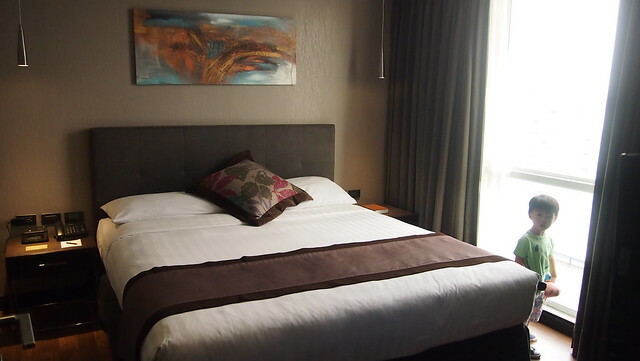 Staycations, is where you have a time to relax and enjoy the place on what they offer, also involve exploring near places like to dine, party and a lot more. 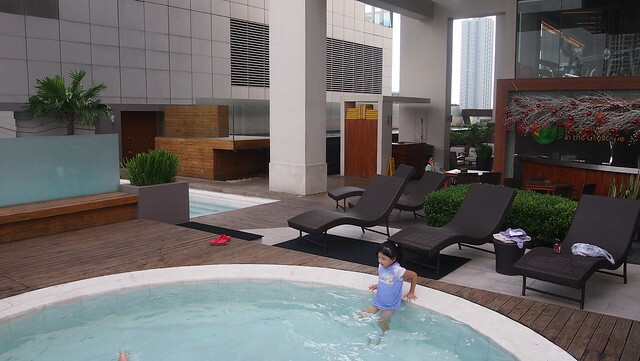 I love staycations because it gives me and the family to just laze around. everyone, even kids need a breather, a change of pace, of surroundings. the best thing about staycations is the chance to make up for lost time with your family in a place you will all discover and enjoy together. The best thing about a staycation is that it's a relaxing change of scenery without having to go so far. 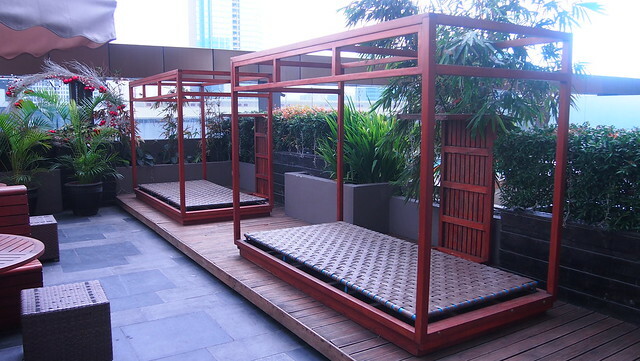 The best thing about staycations is that you can relax and enjoy the place as if you are in your own home but without the hassle of doing the house chores because everything is already prepared for you, anything you need is already in there that you need not have to step out of the building. 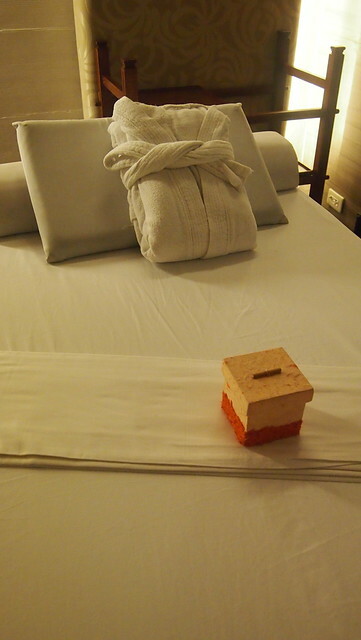 Staycations allows us to change our environment. take a quiet respite, live in the moment, de-stress and relax. 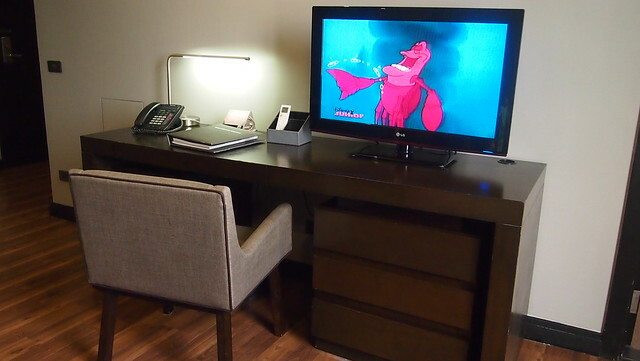 Hotel staycations help restores some fun back into our lives when we are overwhelmed by our current circumstances. With staycations, we can leave the real world behind, bond with the family, minus the boredom that goes with long-distance travelling . 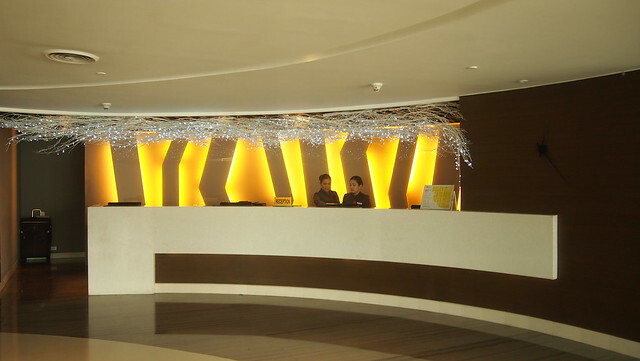 Great things about staycation is to be unwind from everyday workload and enjoy and be relax with your kids, a quality time to bond and spend time together and explore the aminities and relaxing ambiance..
Staycations is being able to de-stress without the hassle of worrying about the travel, lost baggages and itineraries etc. It's quick but effective escape. best thing about staycations? it is an intentional time of fun and relaxation. the more you plan for fun, the more successful your Staycation is likely to be. The best thing about staycations is you can relieve stress and have fun with my kids! 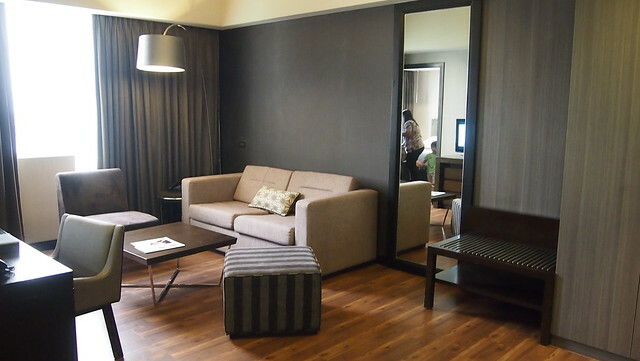 The best thing about staycations is that it allows you to relax and recharge without going too far. 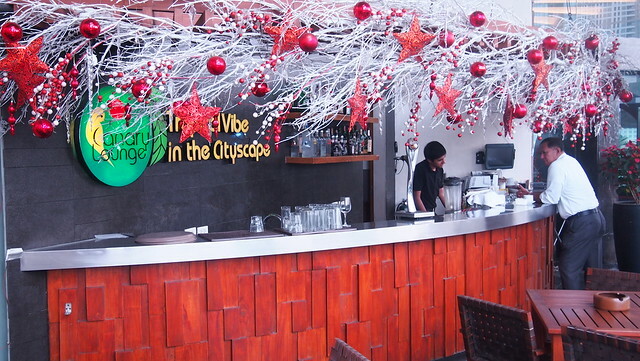 That way, you have all the advantages of being in the city but with a relaxing atmosphere. The best thing with staycation is that you can unwind without wasting too much time on the road, giving you more time to destress. What's the best thing about staycations? 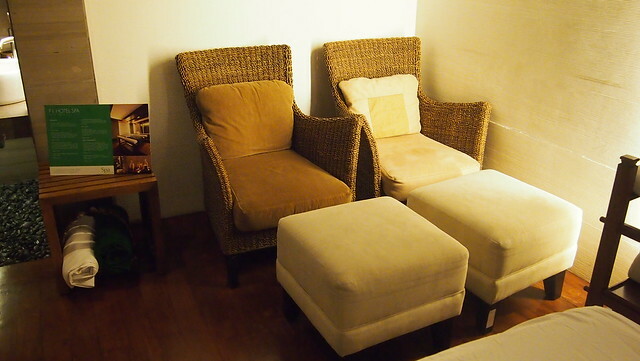 Relaxation and having a quality time together with your loved ones. This is a nice hotel. I have a pastor friend who holds their church service (SBC Lifehouse) in this hotel every Sunday. Aww.. too bad your giveaway is over. 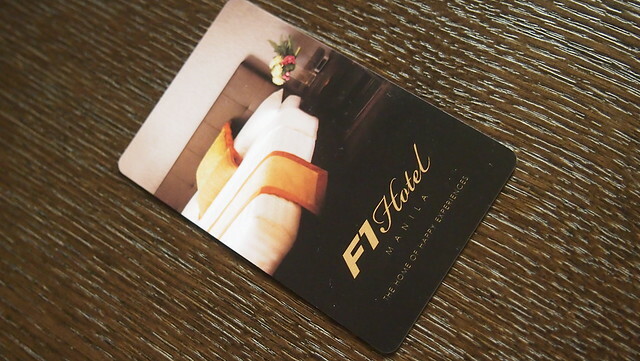 I've been to F1 hotel but only during events. I haven't stayed here but it's part of my checklist.